For Home, Office, Commercial Business and Industrial Electrical Services, We Have You Covered. For Home, Office, Commercial Business and Industrial Generators Installation and Service, We Can Help. When You Need a Trusted, Bonded, Licensed and Insured Plumbing Contractor, Einstein Plumbing Can Fix It. Portman Electric, Inc. is a full service electrical contractor. Our electrical services can range from residential upgrades and remodels to larger commercial and industrial applications. We have worked with hundreds of customers for their commercial, industrial and residential electrical services and needs. Our highly qualified team of journeymen electricians allows us to provide quality service at affordable rates. Portman Electric is ready to serve your electrical needs. We work with general contractors to provide complete electrical systems from new construction, remodels and additions to your business or factory. 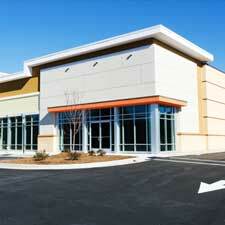 Our commercial electricians are highly skilled, safety trained and background checked. Portman Electric is an industrial electrical contractor providing Industrial Electrical Services for upgrades, new construction, remodels and additions in Cleveland. Portman Electric is a licensed, full service electrical contractor.. We work directly with owners and/or general contractors and are committed to being fair and honest. Ohio Electrical Licensed #18634. We are licensed, insured and bonded. We know that every element and detail counts, and we make sure to get it right the first time - every time. We schedule & plan our work for maximum efficiency and rely on 100% reliable resources. We are bonded and insured highly skilled, all of which generates complete confidence. "Whether you require electrical services for your home, workplace, factory or farm, Portman Electric will be there when you need us." "As a Licensed Ohio Electrical Contractor we follow best practices regarding all electrical projects. Best practices protect the home owner, business and industrial customers, as well as our electricians." Portman Electric serves all of Northeast Ohio, including Ashtabula County, Cuyahoga County, Erie County, Geauga County, Lake County, Lorain County, Portage County, Summit County, and Trumbull County. Our electricians offer a variety of electrical services for home, businesses and industrial customers. "As licensed, bonded and insured electrical contractor, we will always deliver on what we promise, you will not be disappointed. We are extremely thorough to ensure you’re receiving the best possible service." 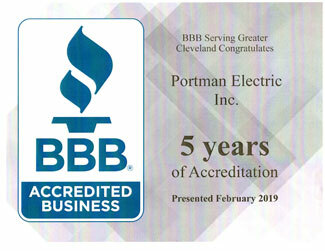 Portman Electric has been providing a comprehensive range of electrical services to residents, commercial businesses and industrial customers in Northeast Ohio since 1988. "Our proven capabilities lower client costs, reduce operational risk and fundamentally improve asset reliability and safety." All licensed electricians and contractors are required to take continuing education classes to remain current with code and safety issues as part of maintaining their licensure. You have the added safety that not only will your job be done correctly but will be completed per the most current NFPA codes. "In life you can plan for most situations however, there are times when the unexpected occurs when you’re least expecting it. Portman Electric is ready to assist." 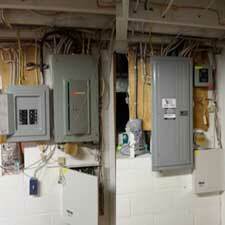 Highly qualified electricians to troubleshoot standard residential issues to commercial/industrial customers. 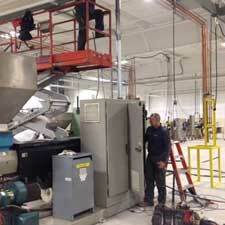 Trouble-shooting includes lighting, wiring, panels, breakers, outlets, switch gear, machinery, and more. Honest, Reliable, Experienced, Proven. Family owned and operated since 1988 Family values. Every job is important to us and we will respond promptly to any service call, no matter how big or small. 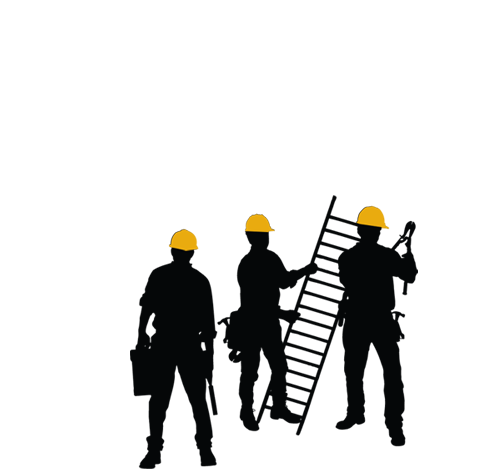 Portman Electric will inspect your electrical requirements and provide the best solution. Our estimates provide the best solution to your electrical requirements for your home, commercial business and industrial needs. We are a licensed electrical contractor and insured, ready to provide you the best electrical solution. We take pride in our work and in the standard of professionalism we expect from our people. With a team of industry professionals with over 30 years experience, we guarantee only the best results on all projects. When a unplanned electrical event takes place at home, the office, business or factory, we’re here to resolve the situation, no matter the complexity.